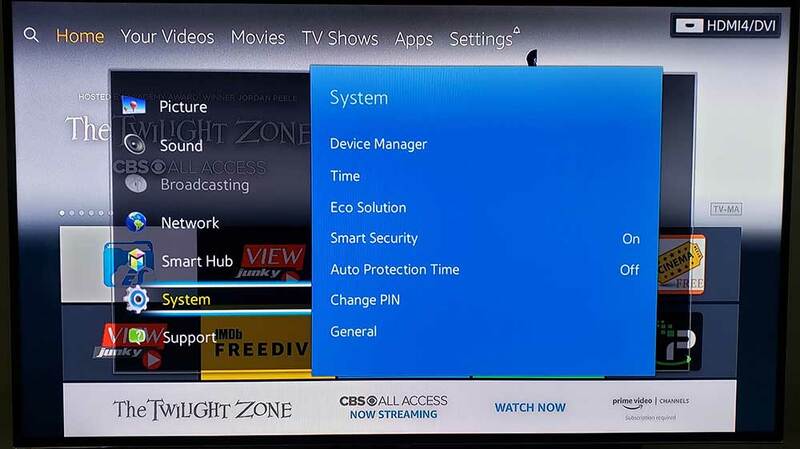 Navigate to your Smart TV’s setting and find the “System” category. Look for the setting commonly called “Auto Protection Time“. 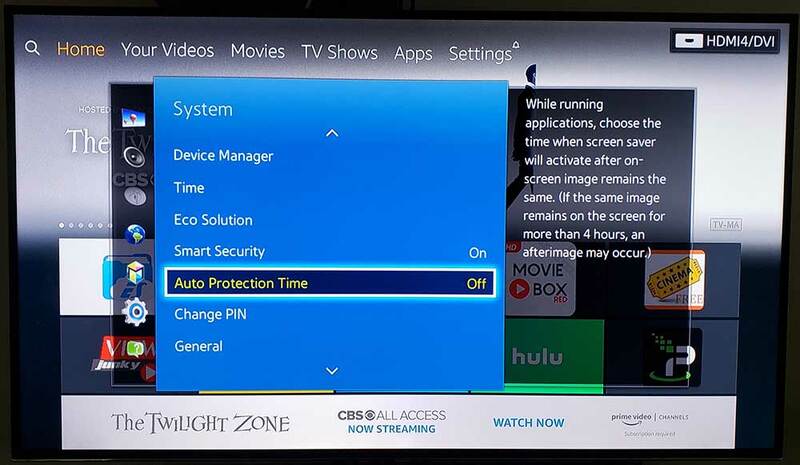 This setting controls the amount of time before the TVs screensaver turns on. Default is 2 hours. You want to turn this OFF all together. 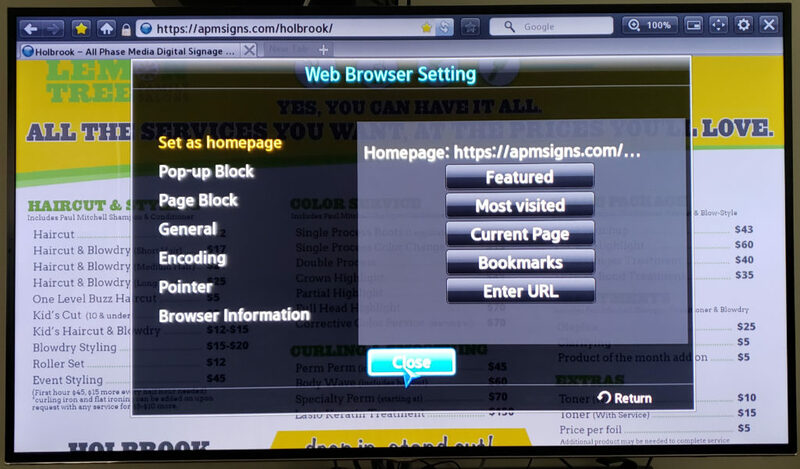 Open your TV’s Web Browser and type the link you were provided into the navigation bar using your TV remote. Then select either “Done” or “Confirm” depending on your TV model. 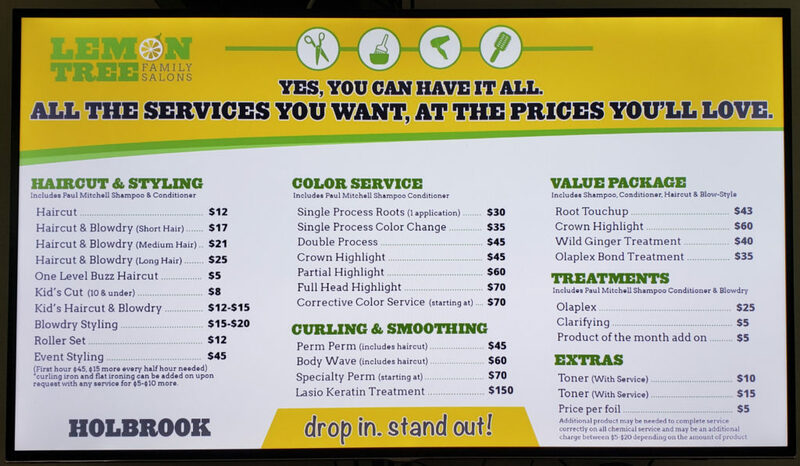 You should now see your menu. 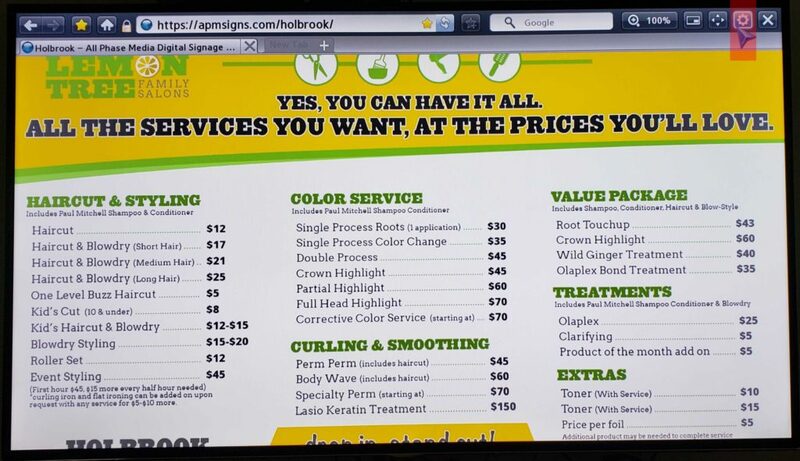 You may notice that a portion of the top and bottom are cut off. We will adjust this in a later step. Towards the top right of your Web Browser, you will see a small Gear Icon. This is your Browser Settings. Using your TV remote to click on the gear. Scroll down and select “Web Browser Setting”. 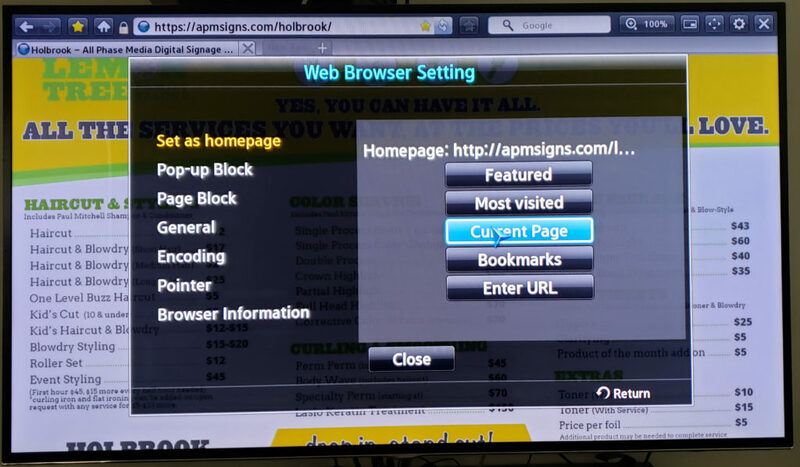 This step is where we are going to make your Digital Menu Board the Default Homepage when the web browser is launched so that you do not have type in the link every time the TV is turned off and on. Under “Set as homepage” select “Current Page”. Select “Close”. You are done here. We are now going to toggle the setting for full screen browsing to hide the browsers navigation pane. Towards the top right you should see an icon with 4 directional arrows. You will need to click on that icon. 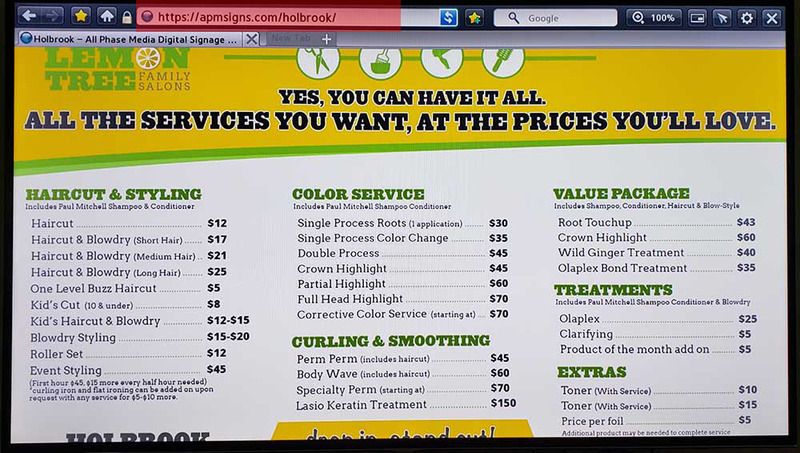 You will notice your pointer disappears but the navigation pane remains. Use the directional pad on your TV remote to scroll down. Doing do just de-selects any items from the navigation pane which should cause the pane to disappear. You are finished. 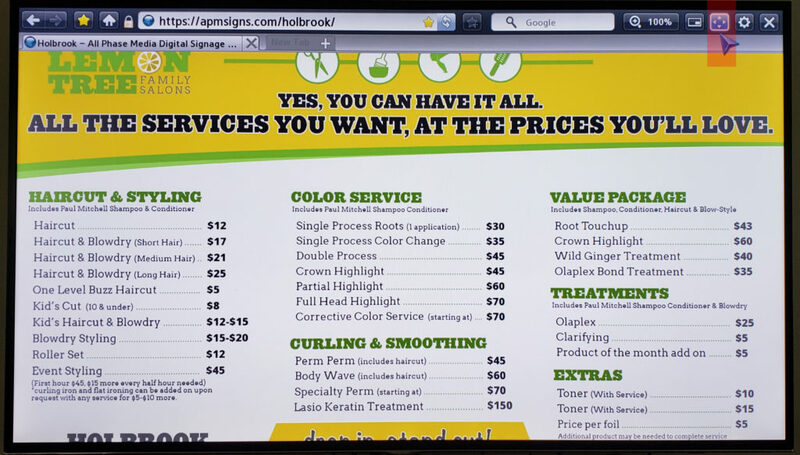 The result should be a full screen menu board with no screen timeout. If you have any issues getting setup please email me and I will walk you through the process.